The brainchild of three crazy Frenchmen, Madame Claude is the product of their childish dream to play in a room where everything is backwards. 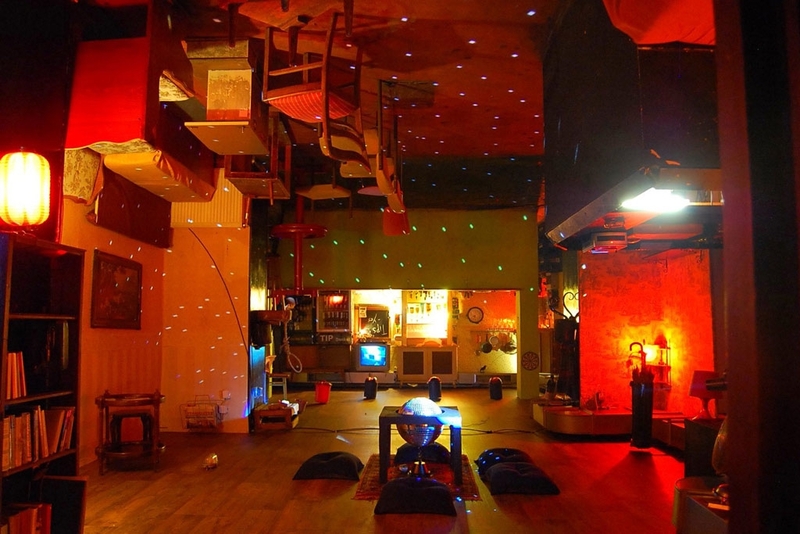 The main room is designed like a normal living room with one BIG exception...The furnishings defy the laws of gravity - Sofas, lamps and coffee tables sit on the ceiling while disco balls and lights 'hang' from the ground. Madame Claude have something interesting on every night of the week. From quiz nights to live music, as well as open mic nights. They even have a few ping pong nights where you can show off your sweet table tennis skills. Located in Berlin's party capital, Kreuzberg, the bar used to be a brothel but don't worry - They cleaned everything before they moved out!